Both the appearance and Attributes of the Dragonscale Set Equipment were far more powerful than ordinary Fine-Gold Equipment. Furthermore, one had to consider the set effects. When Shi Feng placed the Dragonscale Set Equipment on the table, he did not hide the set's Attributes, allowing everyone to examine the set. "These are the set effects of a Fine-Gold Set Equipment?" "The effects of this Dragonscale Set are insane! It could rival the effects of that rumored Warfire Set!" "I've seen the effects of the Warfire Set before. Warfire is more suited for PvP, while this Dragonscale is suited for Dungeon raiding. It is what Guilds need most right now." The crowd was dumbfounded after reading the Dragonscale Set Equipment's information. Aside from how important the Ignore Levels effect was to players right now, the Fury effect alone could raise their damage to a whole new level. There were also the Strength and Agility Attribute increases, both of which were the most important Attributes to any physical cla.s.s. "You've seen the equipment for yourselves. The bidding will start at 100 Gold, with a minimum bid increment of 1 Gold." Shi Feng chuckled. He then announced, "You may begin!" Before the crowd could recover from their shock, Shi Feng's opening price stunned them once more. The market offer for the Warfire Set Equipment was also 100 Gold, and the set could be upgraded to Fine-Gold rank. Moreover, the set's level would increase with the player's, and it could become a Level 30 Fine-Gold Set Equipment. The Dragonscale Set Equipment was only a Level 20 Fine-Gold Set Equipment. The opening bid was simply too expensive. If the set were a Level 25 Fine-Gold Set Equipment, it might be worth 100 Gold. "What? n.o.body's bidding?" Shi Feng watched the silent crowd. Leisurely, he said, "Since n.o.body wants to buy it, then our trade comes to an end. We don't have anything to talk about, so let's dismiss this issue." Even after Shi Feng said this, the various Guild representatives stood as still as stone, showing no intentions of leaving. Right now, they were like a pack of hungry wolves that had meat placed before them. How could they leave without a bite? "Brother Expert, your price is somewhat high. If it were the set you wear right now, I would pay double." "That's right! I'm willing to buy the Dragonscale Set Equipment at 60 Gold!" The Guild representatives voiced their opinions, expressing their refusal of the high price of the Dragonscale Set Equipment and imploring Shi Feng to lower the price. After all, Gold Coins were not easy to come by. Now that every Guild purchased Coins in bulk, it had resulted in an abnormal shortage of Coins. Currently, most of the Guilds in G.o.d's Domain relied on their money-farming teams to supply them with Coins. "Don't buy it if you think it is too expensive. I don't need to sell my equipment to you specifically," Shi Feng said disdainfully. Shi Feng knew exactly what these representatives were trying to do. At this moment, however, a crisp voice echoed throughout the restaurant's second floor. "One hundred Gold. I want it." Immediately, everyone's attention shifted towards the person who placed the bid, discovering a bright and attractive beauty. Moreover, the majority of the equipment this beauty wore was Fine-Gold rank, and the staff strapped to her back even emitted the glow unique to Dark-Gold items. "Isn't she Aqua Rose of Twilight Echo?" "I seem to recall Aqua Rose having left Twilight Echo. I believe she joined a small unknown Guild. Her actions had caused quite the commotion." "That's right; I remember it as well. Many Guilds had tried to recruit her. Unfortunately, she rejected all of the offers, insisting on joining a small Guild instead. At that time, many had sighed at her choice. How could she possibly achieve anything in a small Guild? Twilight Echo even expressed that, as long as Aqua Rose acknowledged her mistakes, they would gladly welcome her back. Unfortunately, she refused. After not hearing anything about her for so long, I thought she had quit G.o.d's Domain." "It is somewhat unfortunate. However, based on her current appearance, it seems that she is getting by quite well. She even wields a Dark-Gold Weapon." "No matter what was said or done, Aqua Rose is very talented and powerful. With the nurturing of a small Guild and some luck, it isn't exactly impossible to obtain Level 20 Fine-Gold and Dark-Gold Equipment. However, she probably won't grow beyond that. After all, a small Guild is still a small Guild." The crowd instantly fell into a discussion about Aqua Rose. She was quite famous in the virtual gaming world, and like the Snow G.o.ddess, she had been nicknamed the Rose G.o.ddess. Naturally, the Guild representatives recognized her. The crowd's attention turned from Aqua Rose, shifting towards Twilight Echo's representative. Twilight Echo's representative, Brilliant WarG.o.d, had also noticed Aqua Rose's appearance. He was visibly delighted. It was especially true when he heard everyone's evaluation of the woman. Ever since he had suffered defeat at Shi Feng's hands, due to the punishment from the system, his leveling speed had slowed to a crawl. Even when he accompanied others, he could not level any faster. Having no other choice, he chose to act as the Guild's representative and mingled in Blackwing City. He hated Shi Feng fiercely for placing him in his current situation. Previously, he had allowed Aqua Rose to leave Twilight Echo with ulterior motives. He wanted to teach Aqua Rose that she was nothing without Twilight Echo, and in the end, she would beg to return to the Guild. However, upon seeing Aqua Rose's equipment and level, Brilliant WarG.o.d's expression sank, disappointed. Keep up your pretenses! I want to see just how long you can keep up the act! Brilliant WarG.o.d had paid close attention to Zero Wing, so he knew that Zero Wing was currently engaged in an all-out war against Overwhelming Smile. Others might not know Overwhelming Smile's backer, but he did. A tiny Guild like Zero Wing would only last a few more days. "Alright, 100 Gold going once!" Shi Feng did not care whether the crowd paid attention to Twilight Echo's representative or not. He just smiled faintly as he confirmed the bid. Immediately, his words shook everyone back to their senses, and the representatives promptly started shouting their own bids. The Dragonscale Set Equipment that n.o.body wanted had suddenly risen to a price of 132 Gold. What had happened to "100 Gold is too expensive?" Their complaints had been nothing more than nonsense. After all, this was a Level 20 Fine-Gold Set Equipment that none of the Guilds in G.o.d's Domain possessed. Although the set was not particularly suitable for MTs, it still had better effects than the individual equipment pieces that their MTs currently wore. How could they possibly give up on it? When Thunder Tiger placed a bid of 132 Gold, the crowd began to hesitate. "150 Gold!" Aqua Rose calmly rose the bid. The crowd turned to look at each other, shocked. Even to a large Guild, 150 Gold was not cheap. To a small Guild, that should practically be all they had. Yet, Aqua Rose seemed not to care about the price at all. The representatives began to wonder what kind of Guild supported Aqua Rose. "155 Gold!" Swallow Nine stated. "158 Gold!" Flourishing Colors began to bid as well. One hundred and fifty Gold was almost the limit a first-rate Guild would willingly bid; any more would be too expensive. However, the three Super Guilds did not care about this price. 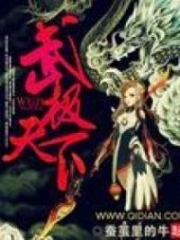 You're Read Reincarnation Of The Strongest Sword God Chapter 470 online at NovelOnlineFull.com. You can use the follow function to bookmark your favorite novel ( Only for registered users ). If you find any errors ( can't read,broken links, can't load photos, etc.. ), Please let us know so we can fix it as soon as possible. And when you start a conversation or debate about a certain topic with other people, please do not offend them just because you don't like their opinions. Current Time is 19-Apr-2019 00:58:53 AM.